Antique china, orange blossom heart singing goodness! I literally squealed with delight when I stumbled upon this thirty-eight piece set of antique china perfection in my favorite shop yesterday. 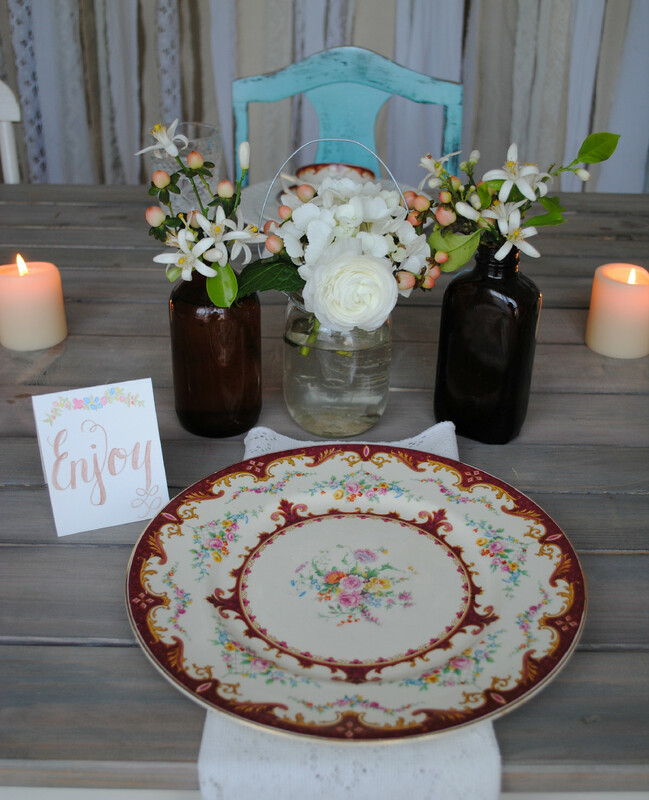 I was so excited for all of my brides who will be using my mix and match china this year to accent their vintage fetes. In addition to the dinner plates, I scored several teacups and saucers. And some absolutely gorgeous square dessert plates as well. 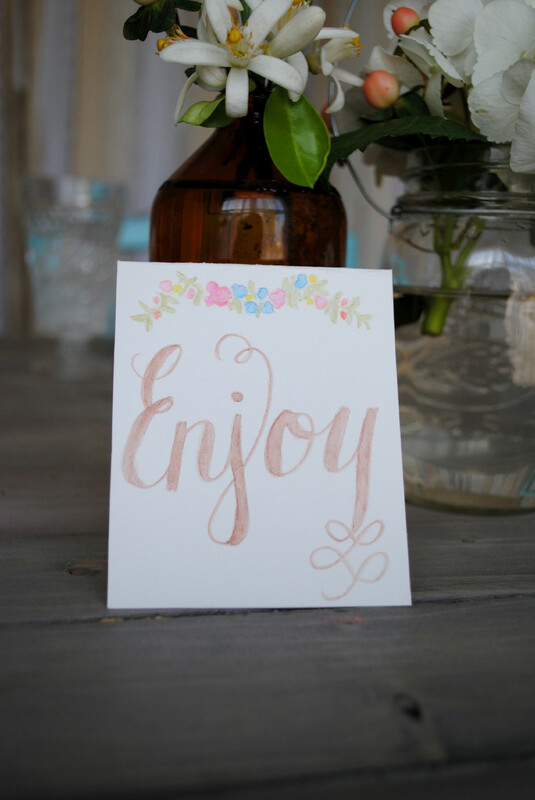 Of course, I decided that this set deserved its very own custom watercolor calligraphy tent. 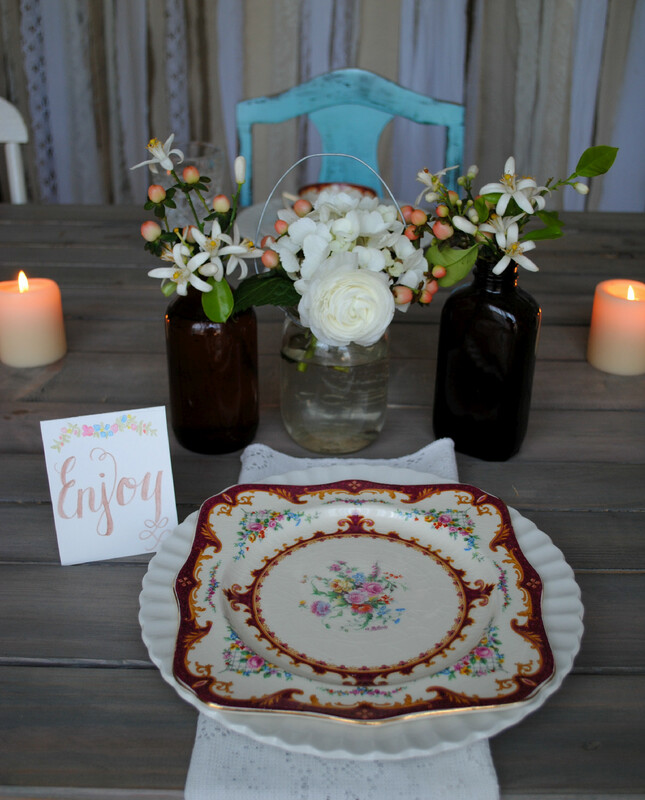 Inspired by the swag floral design on the china itself, I got busy creating a garland to sit atop of the lettering. And, oh my gracious the flowers! 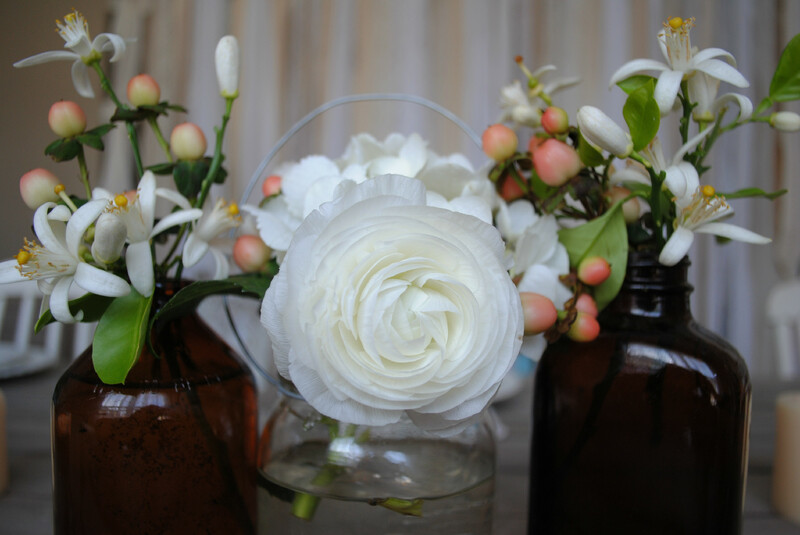 I combined a lovely white ranunculus with a single head of hydrangea and a few spots of blush hypericum berries in the center mason jar. 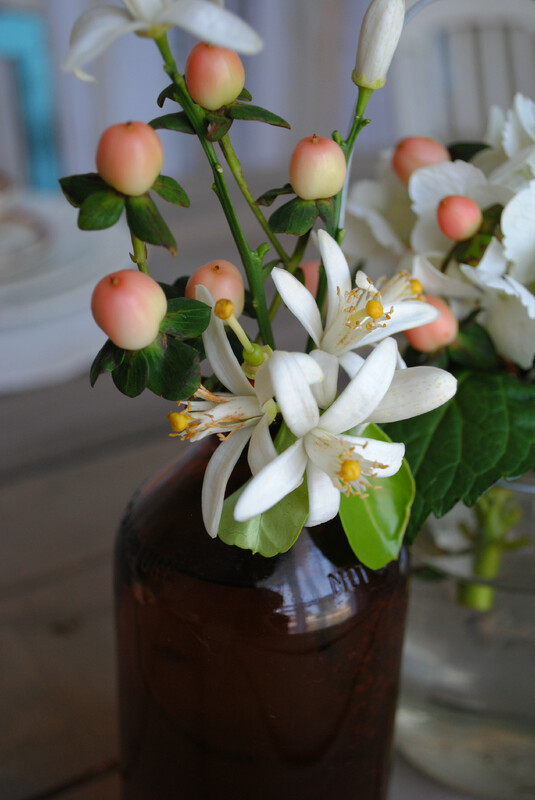 Antique amber glass bottles grace either side and boast selections of hypericum berries and handpicked orange blossoms fresh from my very own tree. It is stated on my website that the scent of orange blossoms makes my heart sing and this is the honest truth. Being the native Florida girl that I am, they are most certainly on my top five list of all-time favorite flowers! 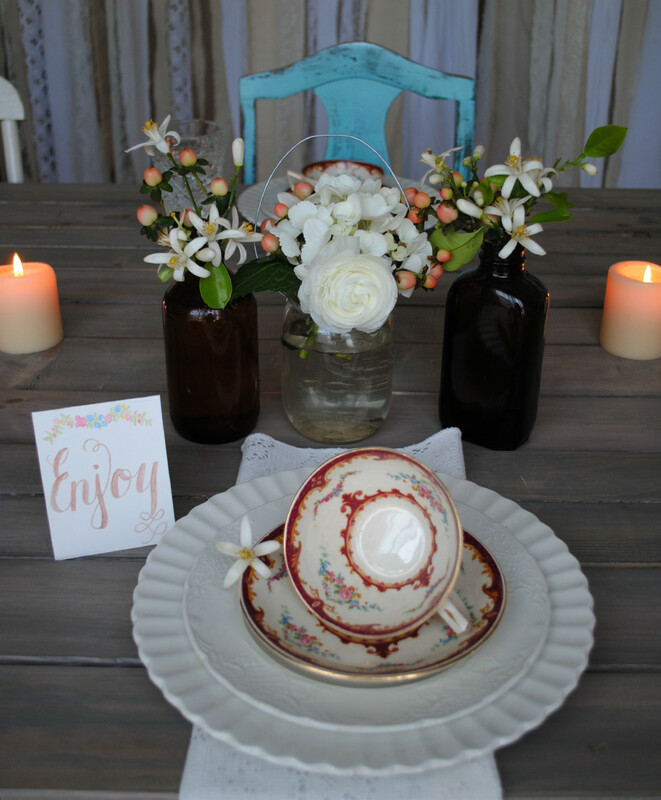 Wishing everyone a day filled with antique china, orange blossom heart singing goodness!